In one of his first interviews since he was accused of sexual misconduct, Sen. Al Franken, D-Minnesota, said he is "embarrassed and ashamed," according to the Star Tribune. "I've let a lot of people down and I'm hoping I can make it up to them and gradually regain their trust," Franken said in a phone interview with the Minnesota newspaper. "I'm looking forward to getting back to work tomorrow," he added. Television host, sports broadcaster and model Leeann Tweeden came forward with claims earlier this month that Franken "kissed and groped" her without consent while entertaining troops on a USO Tour in December 2006. Franken issued an apology to Tweeden in response, which she accepted. In a separate interview with Minnesota Public Radio on Sunday, Franken called the photo of himself grabbing at Tweeden "inexcusable." "I am ashamed of that photo," Franken said. "You know she didn't have any ability to consent. She had every right to feel violated by that photo." Days later, a second woman came forward accusing Franken of sexual harassment. Lindsay Menz, 33, told CNN that in 2010, she and her husband and father attended the Minnesota State Fair. During the event, she said that her husband took a photo of her with the Democratic senator. She said that he "pulled me in really close, like awkward close, and as my husband took the picture, he put his hand full-fledged on my rear." In a separate story published by the Huffington Post, two more women alleged that Franken touched their buttocks during campaign events in 2007 and 2008. Franken told the Star Tribune that while he did not recall the campaign photographs in question, noting that he's taken "tens of thousands of photos" throughout the years, it was "not something I would intentionally do." In a separate interview with CBS Minnesota on Sunday, Franken was asked if he had ever placed his hands on a woman's buttocks. He replied, "You know I can't say that that hasn't happened," reiterating that he often takes "thousands of pictures." He told the Tribune, however, that he was surprised by the claims. 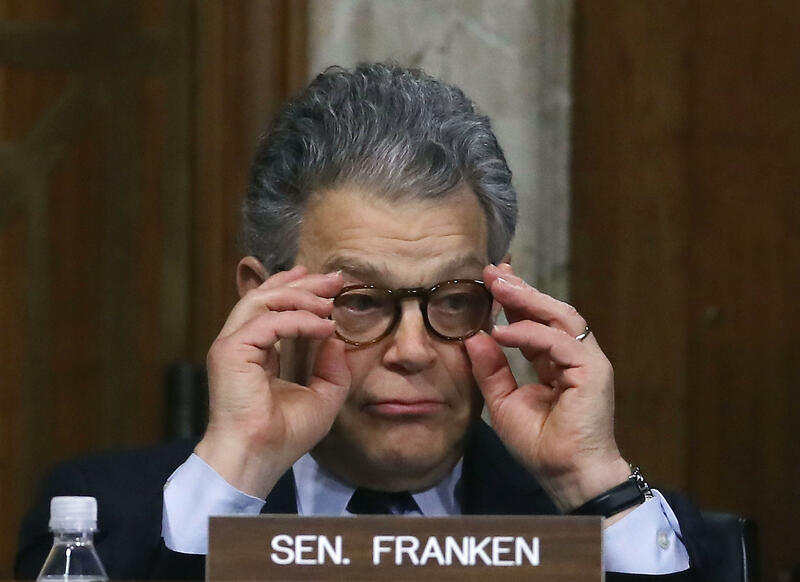 "I know I have a lot of work to do to regain the trust of the people I've let down, the people of Minnesota, my friends and colleagues, everyone who counts on me to be a champion for women," Franken said. The Democrat has remained out of the public eye since the allegations surfaced, and the Star Tribune reports that over the last week he has thought about "how that could happen and I just recognize that I need to be more careful and a lot more sensitive in these situations." Franken said he would gladly cooperate with an ethics investigation into the allegations, and several women have stepped forward in his defense, saying they never experienced or witnessed any inappropriate behavior by the senator when they worked for him. In a statement provided to CBS News Thursday evening by his Deputy Chief of Staff Ed Shelleby, Franken said that as a "warm person" he hugs people and that he's learned from recent stories that "in some of those encounters, I crossed a line for some women -- and I know that any number is too many." "Some women have found my greetings or embraces for a hug or photo inappropriate, and I respect their feelings about that," he said. Asked if his credibility had been undermined as a result of the revelations, Franken told CBS Minnesota that it was, and that he has a "long way back to win back the trust of the people of Minnesota."